The idea of a Club in Pangbourne was first started by a group of boys who banded together for physical recreation being given the use of a large room in The Mill, Whitchurch, by Mr John Dolphin. From this group a rowing section was formed and the Pangbourne Athletic Club came into existence. In 1960, when the Mill was no longer available, Mr Dolphin (who was then Chairman of the Club) felt that alternative accommodation should be provided. Plans were set in motion to raise some £5,000 for the building of a Clubhouse (in shell form only until further money could be raised) which would provide room for physical recreation, changing rooms and a bar, as well as, storage room for boats on the ground floor. After a public meeting in the Village Hall it was agreed to ask the NABC to act as Trustees and a 50% grant on building and equipment was obtained through the Ministry of Education and Science. The remainder of the money was raised through voluntary donations and special fund-raising functions and the building was ready for occupation during 1961, on land leased by the Pangbourne Parish Council – the National Trust having approved the site. For several years there was pressure to allow girls into the Club, but this was impossible in accordance with the Constitution. There was, however, no objection to a separate youth club operating in the building with the agreement of the Management Committee and this facility was offered to the Area Youth Officer in July 1965. A separate Advisory Committee was formed, prospective club members formed work parties to redecorate the premises and in January 1966, on one evening per week, the first Pangbourne Mixed Youth Club was formed under the guidance of a part-time trained Youth Leader. By 1965 the Management Committee of the Pangbourne &amp; District Athletic Club had realised that it could no longer raise the necessary funds to continue running the premises for only a few boys and decided to offer the clubhouse to the Berkshire County Council for use as a Youth Centre. Agreement to relinquish the Trust was obtained from the NABC, the Parish Council agreed to the transfer of the Lease and the legal negotiations were put in hand during 1966, the club became the PANGBOURNE YOUTH CENTRE AND COUNTY RIVER TRAINING CENTRE. 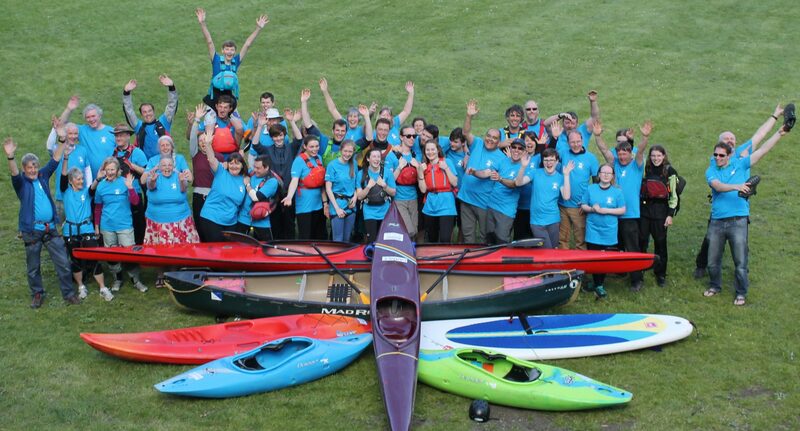 The Canoeing Section of the Centre has grown in strength during the last few years and the activities that are pursued have increased in variety. There are currently groups competing in Whitewater, Long Distance, Sprint and Slalom Racing, as well as, all the different fun type activities that canoeing offers. Training courses for young people are being run in Berkshire which in turn lead onto BCU Coaching awards staffed by members of the Thames Valley Coaching Panel. With Other groups now making good use of the Centre and in view of the limited facilities at present available, the Management Committee feels there is great hope for the future if current planned development goes ahead. The County River Training facility needs considerable expansion to cope with day-time use by schools and the Club section can only benefit from increased use. The Canoe Section is rapidly growing in strength and with senior members continuing to pass on their experience, Pangbourne will become a name to be reckoned with in all forms of canoe sport in the next few years. This has already been demonstrated in the Devizes to Westminster Race in the past two seasons.